We are offering Ground Roller to our clients. We are offering high quality rollers which are available in filling capacities of ¹/6, ¼, ½, 1, 2, 3 Tonnes. 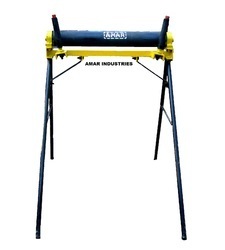 These are widely used for Grounds, Stadiums, Golf courses and Construction bases. Our product line includes garden rollers manual, which are driven manually, by hand, and ideally suited for paths, playground, tennis courts, and cricket pitches. These can be procured in two models – one having mild steel plates and other using cast iron in its structure. We are offering high quality rollers in India which are available in filling capacities of ¹/6, ¼, ½, 1, 2, 3 Tonnes. These are widely used for Grounds, Stadiums, Golf courses and Construction bases. Being a most prominent organization, we are engaged in offering a wide range of Spiked Grass Roller. - It helps aerate soil and promote lush growth in lawns. 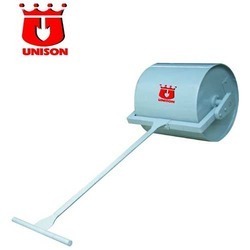 The design is based on uniform pressure create on ground and easy to handle. Fabrication of the Roller wheels are made of thick steel plate which are machined properly with curved edges to avoid lines marks during wet rolling as well. We are a remarkable entity, engaged in manufacturing a qualitative array of Big Ground Roller. - The body is made of pipe & channel. - All rollers are rubberized & fitted with ball bearings. Packing Forwarding and Sales Tax extra. we are the leading suppliers of Garden roller in india . We are one of the leading organization engaged in providing excellent quality Grass Roller, which are manufactured by using high grade material. These Grass Roller are widely appreciated by our clients which are situated all round the nation. High in demand, these are available at most reasonable prices. We are a top-notch organization, engaged in providing Field Roller.